Diversified Exhibitions has announced that it has acquired all the Australian assets involved with dmgworldmedia, further strengthening its increasingly dominant position in the local exhibition industry. Diversified Exhibitions has announced that it has acquired all the Australian assets involved with dmgworldmedia, (excluding Imedia, Evanta and Adtech) further strengthening its increasingly dominant position in the local exhibition industry. With the addition of flagship event designEX (including Form & Function), FoodPro and Building Services & Maintenance Expo, Diversified has now added eleven new shows to its portfolio in 2009. Pearce said that the transition would be smooth as both designEX and DesignBuild already run alternate years in Sydney and Melbourne. Under Fischer’s leadership, the brands will become more clearly defined and less competitive with each other, thus better servicing their exhibitor and visitor base. FoodTech, which Diversified announced this year, will be merged into FoodPro, rather than split the market with two exhibitions. “Our intention with FoodTech was to solidify our leading position in the food market with a better food technology event. These plans will now be rolled into an enhanced FoodPro offering at the next show in 2011,” said Pearce. 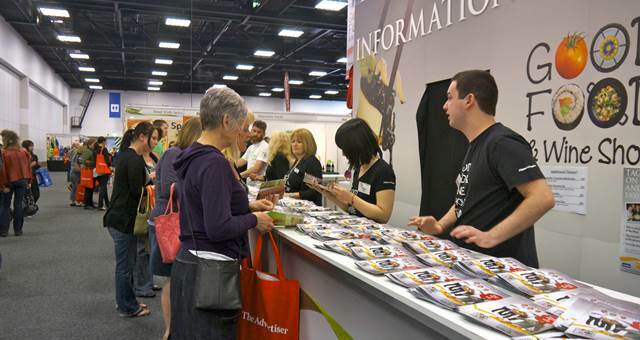 This year, Diversified has launched three new shows: Good Food & Wine Show in Adelaide, Fine Food New Zealand and Hotel Hospitality and Design (2010). Acquisitions included the biennial Australasian Oil & Gas Expo which ran so successfully in Perth in February that it will now be staged annually. Other brand acquisitions for 2009 were Irresistible Gluten Free Food Shows and Restaurant. Diversified also opened in Hong Kong, having acquired Hong Kong Restaurant & Bar Show and Retail Asia. Diversified Exhibitions has acquired the Restaurant shows from Single Market Events.